Trading hours may vary on public holidays. 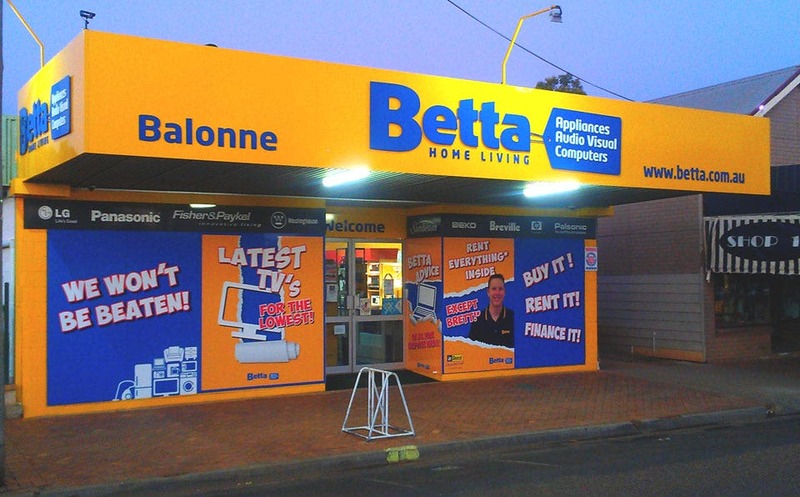 At Balonne Betta they love providing excellent service to their local community, making the purchasing, delivery & installation process easy & hassle free. Whether it be your next fridge, TV, air conditioner, heater or small appliance Balonne Betta Home Living are your local experts. The Nosse family have been supplying goods to locals in the Balonne area since 1980. Now the third generation in his family to carry on the family tradition, Balonne store owner and operator, Brett Nosse is dedicated to providing great service to the local community. The Balonne store supports the St George Lions Club, St George Rotary, and Apex, and currently employs three local staff members. Brett loves the amazing locals of the Balonne area and enjoys getting out on the beautiful Balonne River.